It’s frustrating when you pull grab your favorite dress shirt of the closet in hopes of wearing it, only to discover that it has shrunk. Even if your suit fits perfectly, you still need a dress shirt that fits as well. If it’s too small, not only will it look unflattering; it will probably be uncomfortable to wear. The first step to protecting your dress shirts from this phenomenon is to understand what’s causing it. While dress shirts can shrink for a variety of reasons, some of the most common are described below. Most men’s dress shirts are pre-shrunk during production. In other words, manufacturers intentionally shrink their dress shirts before selling them so that they are less likely to shrink when the customer washes them. This process involves exposes a dress shirt to warm water, after which it shrinks to a slightly smaller size. But not all manufacturers perform this process. Some produce and sell dress shirts that aren’t pre-shrunk. If you happen to purchase one of these dress shirts, you can expect it to shrink over time. Washing dress shirts in hot water may also cause them to shrink. Assuming a dress shirt is made of an organic fabric like cotton, linen or wool, it will shrink to some degree when exposed to hot water. You may not notice any difference after washing a dress shirt just once in hot water. If you continue to do it, though, the shirt will eventually fit smaller than its original size. 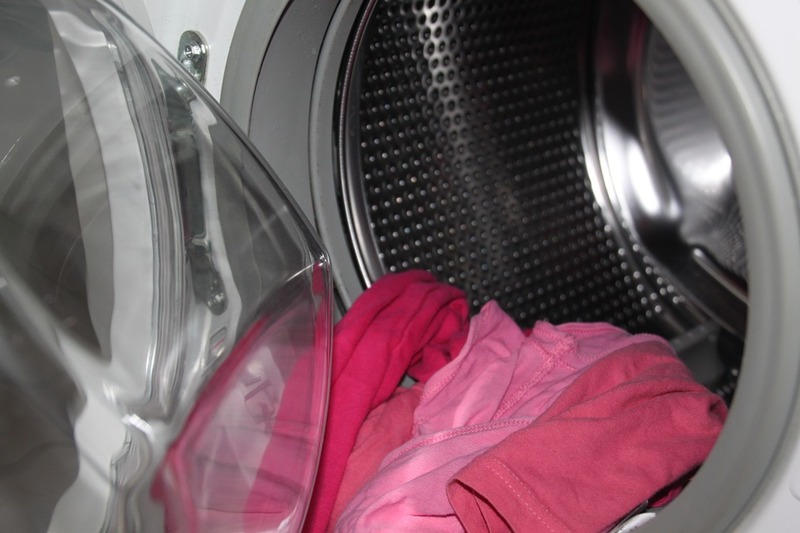 This problem is easily prevented by setting your washing machine to cold water instead of hot water. Contrary to popular belief, cold water works just as well at removing stains and cleaning clothes as hot water. The only difference is that cold water doesn’t cause shrinkage, making it a safe choice for your dress shirts. You can’t judge the quality of a dress shirt based on its appearance alone. Some dress shirts are made using low-quality fabrics and shoddy craftsmanship, resulting in an increased risk of shrinkage when exposed to heat. Even if you can save a couple bucks by purchasing a cheap, low-quality dress shirt, you have to think of the long-term cost. When the dress shirt shrinks to the point where you can longer comfortably wear it, you’ll have to replace it with a new one. Therefore, spending the extra money on a well-made, high-quality dress shirt may actually be a smarter investment. Wearing a dress shirt outdoors for long periods of time can lead to shrinkage. Like hot water, exposure to sunlight heats up the fabric from which the dress shirt is made, causing it to shrink. Sunlight-related shrinkage isn’t as pronounced as hot water-related shrinkage, but it’s still one more contributing factor of which you should be aware. And if you’re concerned that your dress shirts will shrink, limiting the amount of time you spend outdoors while wearing them can help protect against this common problem. Even if you don’t wear your dress shirts outdoors, you may be storing them in an area that’s exposed to sunlight. If you store your dress shirts on a shelf next to an open window, for example, sunlight will inevitably beam through the window to reach your shirts. If left here long enough, your dress shirts will not only fade; they’ll shrink. To protect against such damage, always store your dress shirts — as well as other garments for that matter — in a dry, dark place that’s not exposed to sunlight. Although there are exceptions, most dryers have multiple heat settings, including low, medium and high heat. Conventional wisdom may lead you to believe that using the high-heat setting on your dryer will help your dress shirts dry faster. While true, it can also cause them to shrink. If you use the high-heat setting, your dress shirts will be exposed to significant heat that affects the fabric’s structural integrity. Just like sunlight and hot water cause fabrics to shrink, so does hot air. Therefore, it’s recommended that you turn down the heat when drying your dress shirts by using the low- or medium-heat setting instead. It may take a little longer using the low- or medium-heat setting, but it’s a safer way to dry your dress shirts without exposing them to high heat. Another possible reason your dress shirts keep shrinking is because you’re using harsh cleaning chemicals on them. Most store-bought laundry detergent is safe for dress shirts and won’t cause them to shrink. Stain-removing products, however, are often formulated with harsh chemicals that can damage and degrade common fabrics. They can chemically burn the shirt’s fabric, making it constrict and thus shrink. If you’re worried that cleaning chemicals will cause your dress shirts to shrink, use a homemade cleaning solution instead. 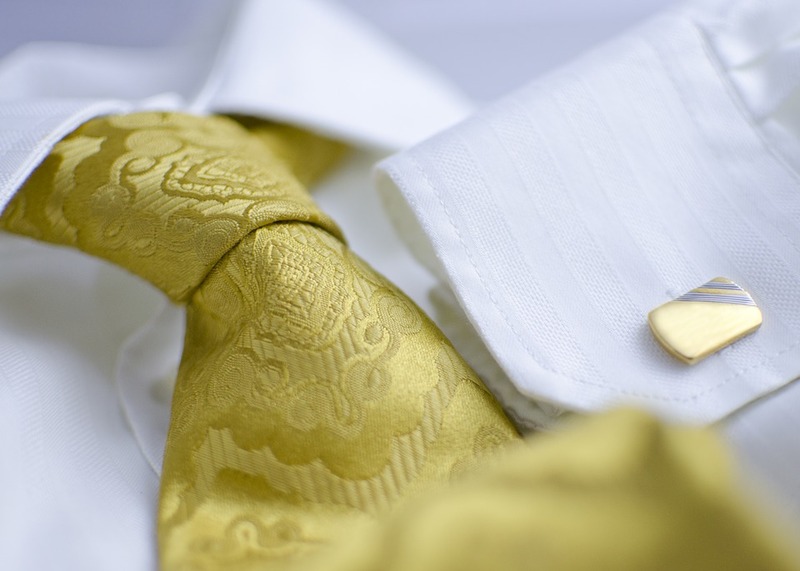 You can typically remove most stains and blemishes from your dress shirts with a homemade cleaning solution of vinegar and water. Just spray the solution over the stain, allow it to sit for 20 minutes, and then blot it with a dry washcloth or paper towel. Vinegar is an excellent cleaning agent that can pull stains out of your dress shirts without causing them to shrink. No dress shirt lasts forever. If you wear it long enough — and continue to wash and dry it periodically — it will eventually shrink. With that said, you should be able to get at least five years out of your dress shirts. Some men wear the same dress shirts for over a decade, but five years is usually the standard lifespan for a dress shirt. Once it’s reached this age, it may no longer fit like it used to.